A Moran Towing company tugboat passes behind a Staten Island Ferry at dusk. Mike Vinik stands on the edge of the Charles Oxman after a long day of work repairing the boat from damages it sustained during Hurricane Sandy in 2011. Vinik sails the Oxman up the Hudson river on an overnight night run to break a stranded New York ferry out of the ice near Haverstraw. The Oxman's oil-soaked engine room, which flooded up to head height during Hurricane Sandy in 2011. Vinik and his deckhand, Chris, yell over the massive sound of the Oxman's main engine while fixing damage in the engine room during a late-night run up the Hudson. 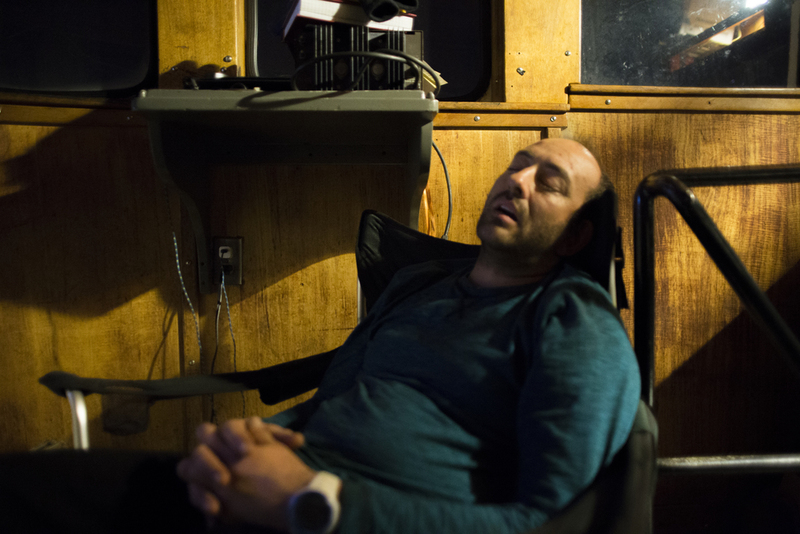 Chris rests, exhausted, after a nearly constant 18-hour shift of fighting leaks during an icebreaking trip. Chris and Mike laugh while making peanut butter and jelly sandwiches, fast calories to keep themselves awake, in the Oxman's galley. Mike looks out over the East River while on a night run delivering an oil barge to the Bronx to heat homes. Mike sleeps in a folding chair on the bridge of the Oxman. 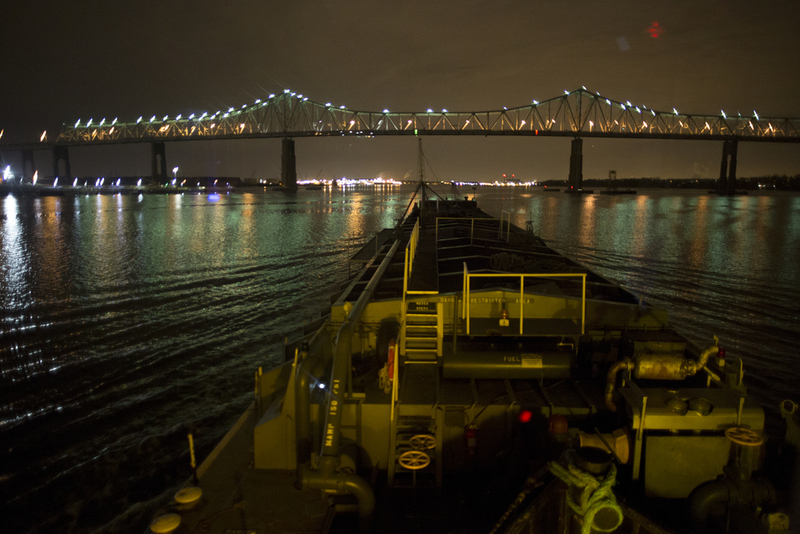 The view from the bridge of a tug pushing a fully-loaded oil barge up the East River on a nighttime run to deliver heating oil to the Bronx. Vinik cracks the window in his tug's cockpit to get a better view of the barge's starboard side. 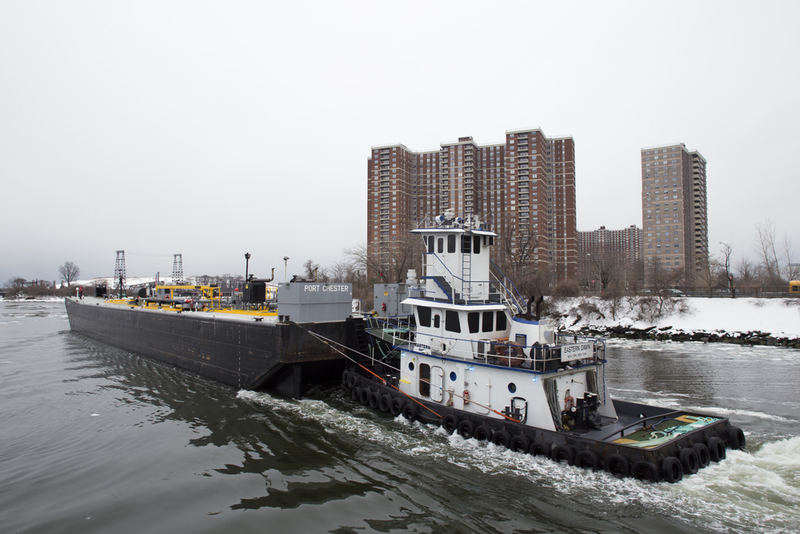 A Vane Brothers tug pushes an empty oil barge past housing projects in the Bronx, which will use the oil for heat. Barges sit high in the water when empty, forcing captains to climb to an upper cockpit, often just a tiny unheated room with a steering wheel, to see over the top of the barge. 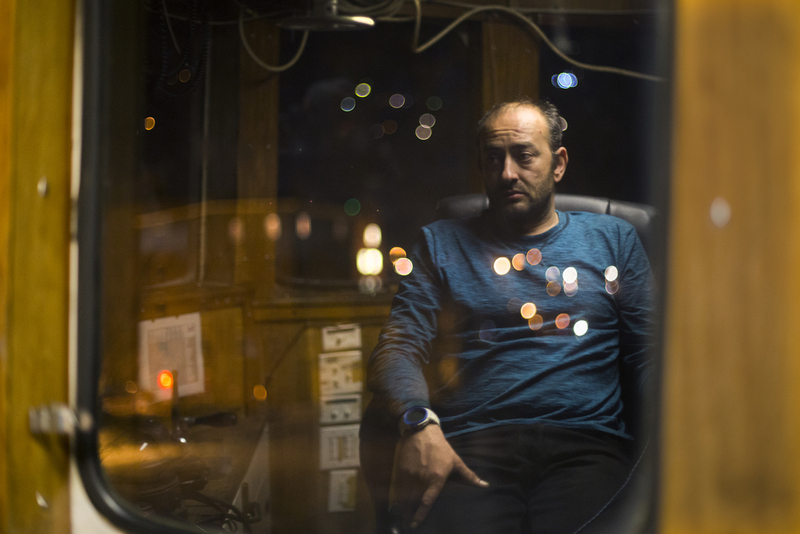 Jim Brown, the third-generation owner-operator of Brown and Sons towing, looks out over the New York Harbor from the pilot's seat of his tug. 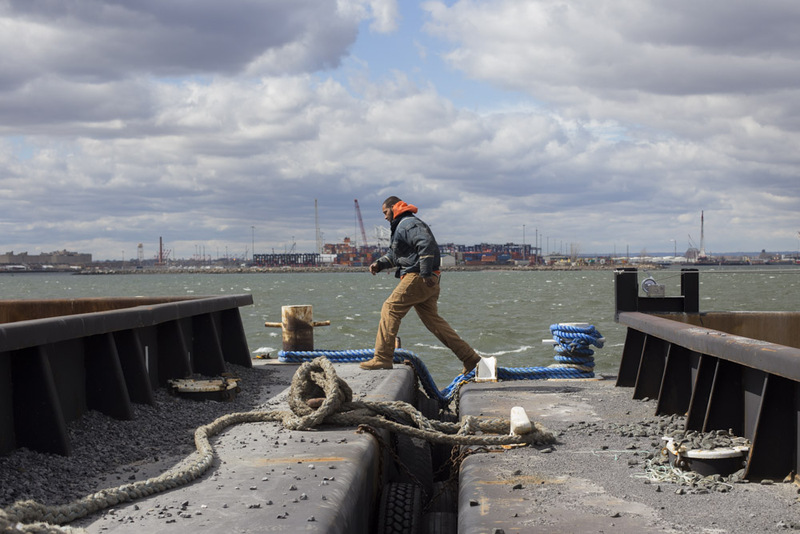 Walter Serrano, a deckhand for Brown and Sons towing, throws lines to secure empty barges together in a small cove in Red Hook, Brooklyn. Serrano crosses between barges while moving cargo in a small inlet by Red Hook. Serrano stands on the edge of a barge.